Tracey Bromley Goodwin and Holly Oberacker offer workshops and keynote addresses around the country. Their realistic and immediately applicable strategies have been proven to help families and professionals around the country turn the challenges of an ADHD diagnosis into an array of undiscovered possibilities. 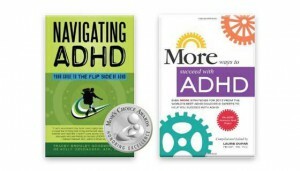 Tracey and Holly are known for guiding parents and professionals to a new understanding of ADHD. This new understanding has led countless families and professionals to support children and teens with ADHD in new ways. Audiences from school communities, after school programs, child care centers, preschools, Special Education Parent Advisory Committees (PAC’s), Parent Teacher Associations (PTA’s) and online forums around the country. Tracey and Holly’s unique approach includes their experiences in the field of education and mental health. Their workshops speak directly to the concerns of parents and teachers and each participant leaves with ideas for bringing out the talents each child possesses. Participants always leave with an abundance of hope and a toolbox full of strategies proven to work. Training for mental health counselors, and others. We train you how to work effectively with your ADHD clients. Training professionals how to work together as a team. This training is ideal for therapists, occupational therapists, nutritionists, speech therapists, mental health counselors, guidance counselors, social workers, ADHD coaches, psychiatrists, neurophysiologists, psychologists, teachers, and others.